I'll readily admit that I don't know much about Windows admin, but today -- suddenly, it seemed, but I'm sure I haven't touched my Windows VirtualBox in months -- I couldn't get an ASP.NET site to work at all. The error in the Event Viewer was completely vague, but I knew it was a permissions problem. 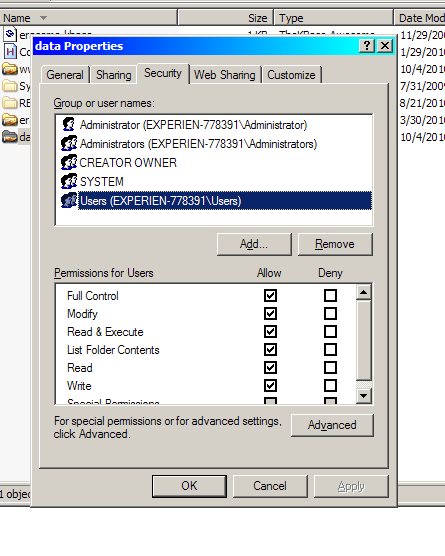 In the end, I found a directory that did work, and copied the permissions from there. They have to look like this, or you're sunk (the CREATOR OWNER and SYSTEM being pretty pivotal).